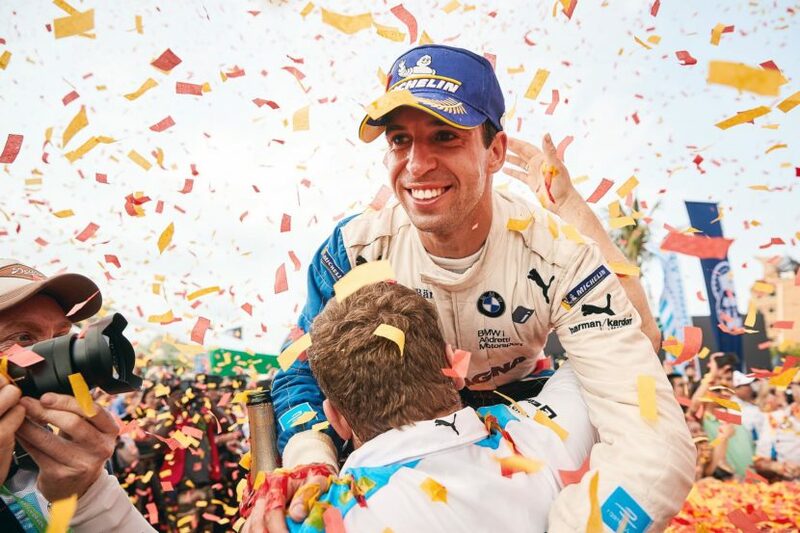 The Formula E season is heating up these days with team BMW i Andretti Motorsport and its driver, Antonio Felix da Costa now claiming the number on spot in the driver standings. Felix finished third in the Sanya race hosted this weekend, racking up 15 points, adding up to a total of 62 points, enough to push him to the top of the standings. This was Felix’s third podium this season, the Chinese race being a heavily disputed one. Starting from third (Félix da Costa) and fifth (Sims) on the grid, the race was characterized mainly by energy management. After the front runners raced defensively for more than half the race, leaving the field close together, the first duels began after around 30 minutes. In a head-to-head with André Lotterer (GER), Sims slid into the barriers, damaging his #27 BMW iFE.18 too severely to continue the race. Félix da Costa defended his third place throughout the race, which ended behind the Safety Car after another accident in the middle of the field. “Third place for António is a very good result. We had both cars in the Super Pole and overall put in a strong performance. In Sanya the power train plays a big role – and we were in a great position here with the BMW i drivetrain. Both drivers were fantastic in qualifying. However, the race ended up being a disappointment for Alexander. He had a good rhythm before he retired after being involved in a duel with another car. Despite everything going on around him, António kept a cool head,” said Roger Griffiths, Team Principal BMW i Andretti Motorsport. “It goes without saying I am pleased with the result, the points and the lead in the driver standings. But I’m a little frustrated too, if I’m being honest, because I wanted to do even better today. I was able to keep up with the two guys in front of me with no problems and think that I could have won. But the track here is very narrow and you have to take a lot of risks to overtake. I tried once, but then decided to take the important points for third place. I think this is the way we need to act if we want to stay at the top until the end of the season,” said Felix after the race.